In Morocco, if somebody refuses to take your “no” for an answer, all you have to do is say “Insha’allah” which will settle the matter for you. The English translation of this word is- If God wills it. Allah is the God of the Muslims. Kisses on the cheek are exchanged as a form of greeting. If you know the person you meet a little better, more kisses are exchanged. It is common practice for Moroccan’s to extend invitations to their home. However, remember that the invitation is a genuine one only if it is extended three times. If you decline to eat meat in Morocco, you are considered to be impolite and handling food with your left hand, makes you doubly so. The University of Al-Karouine in Fez is the oldest continuously operational university in the world and was established in 859 AD. Some say that the Sidi Yahya shrine that is located in the Moroccan city of Oujda is actually John the Baptist’s tomb. There was a time when selling a date tree in Morocco was illegal as it was considered to be a source of food for families. A large number of movies are shot in this exotic Country. In the year 2000, “Gladiator” was filmed here. Capital City: Rabat, Morocco’s capital, rests along the shores of the Bouregreg River and the Atlantic Ocean. It’s known for landmarks that speak to its Islamic and French-colonial heritage, including the Kasbah of the Udayas. This Berber-era royal fort is surrounded by formal French-designed gardens and overlooks the ocean. The city’s iconic Hassan Tower, a 12th-century minaret, soars above the ruins of a mosque. Religion: Religion in Morocco. The Hassan II Mosque in Casablanca is the largest in Morocco. With 93% of its population being considered religious, Islam is the majority and constitutionally established state religion in Morocco. 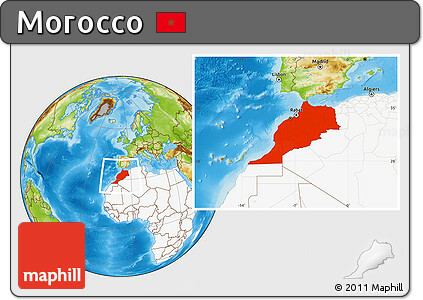 The vast majority of Muslims in Morocco are Sunni belonging to Maliki school of jurisprudence.